Welcome to Beard Guitars. Resophonic Instruments, Dobro style instruments. 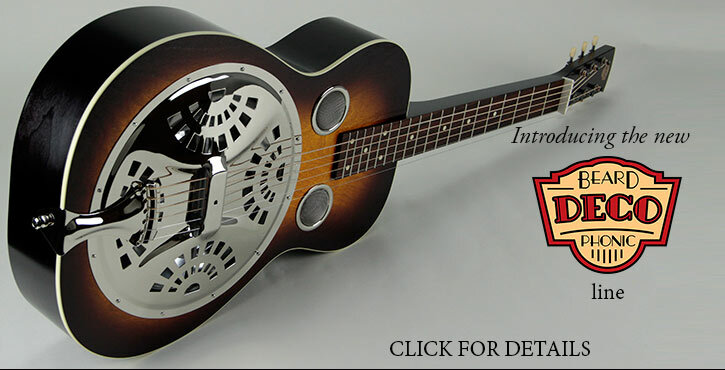 Resonator parts, repair and accessories. Resophonic Outfitters. Hand made in the USA.